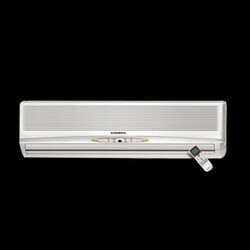 Providing you the best range of o' general residential split air conditioner and o' general wall mounted split air conditioner with effective & timely delivery. 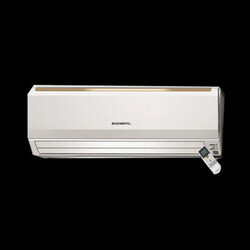 Regarded amongst the foremost organizations, we are highly dedicated towards providing a quality approved range of O' General Residential Split Air Conditioner. 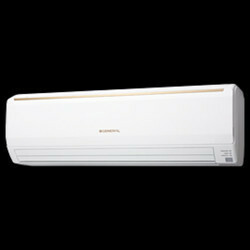 Airflow volume is increased more than current model and comfortable cooling is delivered to every corner of the room. Heat exchange performance is substantially improved by the thin high-density heat exchanger and multi-path efficiency technology. High performance grooved piping with expanded heat exchanger area is used. Hydrophillic coated heat exchanger ensures rust resistance for prolonged life. High heating capacity is realized even at low outdoor temperature by mounting a large heat exchanger or large DC rotary compressor and developing high performance inverter PCB. Piping can be extended up to the above length for full efficiency with additional charge of gas over and above 7.5 mts. as per Installation manual. With the help and support of our competent professionals, we are able to provide a high quality assortment of O' General Wall Mounted Split Air Conditioner.